"Thy sins are eternal and I pray not for the dead" "Thy sins are eternal and I pray not for the dead"
Abel-kun is one of the four crusniks. He used to hate humans, but learned to love them thanks to Lillith. He joins the special force of the Vatican, AX. AX is a group who deals with problems, like negotiating, or if a ship gets hijacked they have to come up with the solution to the problem. Unfortunately, near the end of the series, Abel dies. Fortunately, with the help of Tres and Catarina, they bring him back to life. They used a glass vial from I believe Lillith's coffin, Tres pours the contents of it (apparently his mother's blood) over him and a few minutes later Abel comes back in Crusnik form. Ester witness this. At the very end of the series, Abel and Ion go in search of the Contra Mundi to defeat him. His nickname, Crusnik, apparently comes from the Slavic word "Krusnik" (or "Krsnik" or "Kresnik"), which refers to vampires who are a type of fallen angel. In Japanese, it would be pronounced more like "Kurusuniku" (or "Krusnik", as often times the "u" will be skipped over). 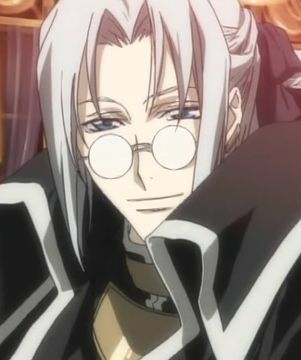 "Crusnik" is the spelling found on Adult Swim's Trinity Blood Character page, while the Closed Captioning and/or subtitles spells it "Krusnik". 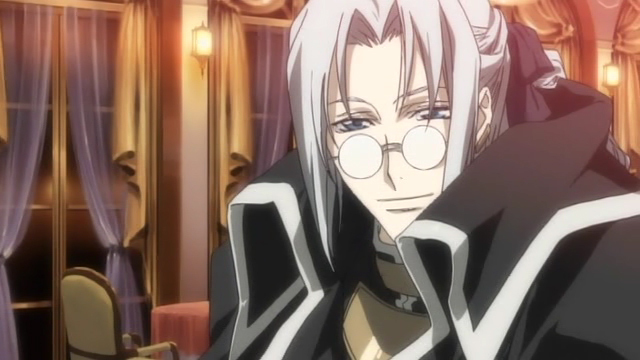 And on the Trinity Blood soundtrack CD, the second track is spelled "kresnik". If you know of anywhere else that has an official spelling (such as subtitles or DVD sleeves), please contact me. Krsnik or Kresnik, Lord of the Mountain is a pagan slavonic son of the sun god present in Slovenia, Croatia, and other countries. The comparative mythology showed that this demigod figure originates from Iranian god Yima and his double, Indian Yama, with whom they share a lot of common characteristics. It is a very diverse deity with many different faces depending on the location of the myth. Is it also possible that "crusnik" might be an alternate spelling of "cruznik" (from the Spanish word, "cruz" meaning "cross"), which could bei a neologism, referring to the seemingly Christianized vampires of this future-Earth. For comparison, I cite the slang terms "beatnik" (proto-hippies of the Fifties) and "peacenik" (anti-vietman War protesters in the Sixties). There seems to be some controversy as to whether or not Peter is actually Abel's first name. Apparently, the name "Peter" is actually just a religious title meaning wandering priest. The above description came from lillia16 and Carycomic, and was edited by yours truly (contact me).